2. What will my relationship with the therapist be like? It is vital that you bring up all your feelings toward the therapist, even though that may be difficult. Much of your psychotherapeutic advance will result from understanding the causes for the frequently changing feelings that are stimulated in your relationship with the therapist and the group members. Though your feelings may appear embarrassing, irrational or hostile, their frank expression is of great value. If you cannot verbalize those feelings in the presence of the other group members, at least tell the group that you are experiencing that difficulty. You may discuss it in an individual session. Also, when you express your feelings about the therapist in the alternate session, be sure to bring them to the therapist’s attention in the subsequent regular session. Many times, seemingly against your will and without your conscious knowledge, inner mechanisms will work against your progress in therapy as painful areas are approached. Such reluctance to delve deeper may take the form of negative feelings against the therapist, the therapy or both. Those feelings may be based on earlier attitudes toward parents and other people in authority. Your reactions may be so strong that unless the therapist is given a chance to work them through with you, they may actually induce you either to forsake professional help completely or, as an escape from the threatening situation, to seek another therapist. It may require a good deal of self-discipline not to give in to such feelings, which, at the time, may seem reasonable. Doubts may also come up when you feel that you are not making visible progress. In all forms of psychotherapy periods of standstill and even setbacks occur. Such periods do not usually last long. Old patterns of feeling and behavior are tenacious and progress does not occur in a straight line. Often, an old pattern will recur when therapy touches on a hidden wound in your unconscious or when the next step forward seems frightening. Those difficult periods are an important part of psychotherapy and provide valuable material for further progress. Such resistance comes up in all types of therapy, and thus also in group therapy. In fact, working through the resistance is crucial to your progress. Become aware of your feelings toward your fellow group members and express them. Notice their reactions to you after you have expressed yourself and see how their reactions affect you. Both what is said and how it is said are significant. People’s behavior—always a significant clue to their unconscious drives and motivations—may reveal a discrepancy or may even directly contradict their spoken words. That may occur even when they believe they are being honest. You may also notice a group member ‘acting out’ an emotion—that is, expressing the emotion in an action rather than in verbalization. Acting out can take the form of turning away from and ignoring a disliked group member or constantly interrupting that person. Acting out can also be verbal. For example, a group member may knowingly make false and malicious statements about another group member, or about the therapist, in order to hurt her or him or may falsely claim affection for other group members to win their alliance. It will make it much easier to understand the feelings underlying such actions, feelings that are often unconscious, if the behavior is interrupted and brought to the attention of the individual. Soon, you will become aware of the emotional patterns in some of the members as they react irrationally to certain situations. Your growing awareness will help you develop insight into your own behavior as well. It is customary for group members to call one another by their first names. Everything said in the group by any of its members must be kept strictly confidential and no knowledge gained about them, including their identities, may be divulged to any outsider. 4. Should I tell others that I am in group psychotherapy and should I tell them what happens in the sessions? of self-improvement and inner growth. It is always undesirable to speak with outsiders about what happens in therapy private or group. First of all, the emotional reactions and evaluations you express to them should be saved for a session from which you might derive therapeutic benefit. If you express the feelings to a person who is not a group member, you will be less inclined to bring them up in your next session and valuable material may be lost. Furthermore, in the psychotherapeutic setting one is dealing with unconscious processes of all kinds, which an outsider will most likely misunderstand. Another danger exists for those who regularly tell a friend or parent about the content of their sessions. A time may come when they will unconsciously refrain from bringing up certain material in the session just because they do not want to repeat it to their habitual confidant. The very process of the therapy thus becomes stifled. Since your emotional structure and behavior patterns have been deeply ingrained since childhood, continued effort over an extended period of time is required to bring about positive and lasting changes. Conscientiously attending the regular and alternate sessions is only one factor necessary to your progress; your efforts to take notice of your emotions during and between the sessions are also of major importance. The task of the psychotherapist is far from easy. An important part of the therapist’s work, upon which much of the success of therapy depends, is to understand your unconscious conflicts and motivations. To that end, you must be completely honest. If you withhold information, change the facts or embellish the truth, you will create a serious obstacle to effective therapy. You may enjoy being in therapy and enjoy the group to which you belong. However, for a period of time you may dislike the group meetings. If so, you should bear in mind the therapeutic purpose of the sessions. Your discomfort during the sessions is a small price to pay for emotional gains that will enrich your life. Furthermore, the discomfort itself is a valuable clue to underlying emotional problems. As you gain more and more insights, it is important that you attempt to make them meaningful in your life, applying them constructively to your battle against old patterns. If you content yourself with an intellectual understanding, you will have gained little, except, perhaps, an excuse for being neurotic. You will observe that some insights you gain during a session, or between sessions, will slip away quickly, maybe after only seconds. If that occurs, it is important that you bring it to the attention of the therapist and the group so that the causes of your forgetting will eventually be discovered. Make a conscious effort to remember any insights you gain during the sessions or between them. Write them down if necessary. There is another way you can help your progress. Try to remember your dreams, your fantasies and your day-dreams and discuss them in the group sessions. Dreams are motion pictures of the forces moving in your unconscious; through psychotherapy you can decipher their meaning. When you wake up, lie still and attempt to recapture the dreams you had. Do not open your eyes until after you have recapitulated them. If you tend to forget dreams, in whole or in part, even though you recalled them upon awakening, write them down before the inner forces that work against deeper awareness erase them from your memory. Just before a person falls asleep, the mind is in a suggestible state and the unconscious tends to continue working with the impressions it receives at that time. Therefore, if you have difficulty remembering your dreams, try this technique: when you are falling asleep, tell yourself in an effortless way that you are going to have dreams and that you will recall them when you wake up. You may not achieve results the first few times but chances are that you will soon. During therapy you may experience a period of well-being such as you have never known before, or you may lose painful symptoms that you have had for some time. If that happens, you may consider yourself ‘cured’ and decide to abandon therapy. Actually, deep and permanent structural changes may not yet have occurred in all areas where improvements are necessary. In many cases, resistive forces are the underlying cause for the feeling of well-being. Unconscious resistance to anticipated anxiety and further change—and not the obvious satisfaction over improvement achieved—may be the real cause for the decision to leave. If you discontinue therapy at that point you will avoid facing hidden painful feelings that are now ready to emerge. You will also avoid necessary further improvements that would strengthen your emotional stability. You cannot be the judge of when your own therapy should terminate. Whenever you want to leave, discuss your intention frankly with your therapist and the group. They will be able to work with you to determine whether it is a result of resistance to further necessary change or a justified decision based on the solid ground of emotional health achieved. The method has a much different basis from present-day group therapy, a basis that results in marked improvement in interaction and other therapeutic factors. The greatly extended time permits far more attention to the individual member and thus allows better understanding of his psychic structure and dynamics, clearer emergence and crystallization of transferences, increased opportunity to work through resistances and more opportunity for work with reams. In short, the groups are characterized by greater depth and meaningfulness. For the group therapist who is hesitant to venture into such unknown territory, we have a simple, practical suggestion: If he now conducts two groups or more, let him form one extended group as an experiment. Other therapists have tried that and many of them now prefer the extended group. It took many years of trial and error to arrive at the present stage of the intensive extended group. Instead of recounting here the various steps in that process, we will limit ourselves to the elements that were found useful and are inherent parts of this group form today. From the beginning, based on our experience with psychoanalytic group therapy, we carefully planned the composition of each extended group, emphasizing heterogeneity. As much as possible, each group member had personality traits and structures different from those of the other members. Patients with symptoms, forms and degrees of emotional illness previously considered treatable only in individual psychotherapy were accepted in the extended groups. The only people not admitted were those whose emotional problems might render group work impossible—for example, psychotics who had no contact with reality, severe stutterers, and feebleminded people. As will be explained later, we also added sociopaths to the list of those excluded. Of course, there are also a few patients who, because of their special needs, should, at least temporarily, be seen only in individual sessions. We had a wider choice in our selection of patients than therapists in private practice ordinarily have because all patients applying to the Foundation for referral have a diagnostic interview with a psychiatrist expert in intake procedures. We studied the diagnostic reports and selected the more challenging and interesting cases for the extended groups. Over the years, the ages of the group members ranged from 18 to 78. However, most of the members were between 22 and 60. The group therapist need not be afraid to include older people who are active and mentally alert. Many of them become valuable group members and benefit greatly from the procedure. Each group had eight or nine members, with about an equal number of men and women. Whenever a member left, he was replaced by a new patient, selected with care to maintain the balance of the group. Occasional private sessions proved a helpful component. Certain patients who were able to function in the group setting manifested anxiety when alone with the therapist. Others needed private sessions to reveal embarrassing material that they could not yet express in the group. The three different situations—regular group sessions, alternate group sessions and private sessions—often stimulate different conflict areas to be worked through. To them, a fourth situation, also originated by Alexander Wolf, was advantageously added; the therapists suggested that the group members stay together for a while after sessions, perhaps over coffee at a nearby restaurant. In that social situation additional aspects of each person’s reactive and defensive patterns could become apparent. Some therapists tell the group members initially that they must help each other, that they will have to behave in a democratic way or that they must relate in an adult manner to each other. Such demands tend to inhibit the patient and may obscure the emergence of his behavior patterns. In the extended groups the patient must be made aware of the fact that the success of the procedure greatly depends on the patient’s efforts toward awareness and honesty in revealing and understanding all his feelings and actions. Although primarily for his own benefit, such efforts on his part contribute to group work, even when the expressed emotions seem hostile, destructive or embarrassing. to develop and maintain a feeling of participation and personal meaningfulness in the procedure, the therapist must relate to each patient during every session. We concluded that it is essential for the therapist to know as much about each patient’s psychodynamics as he would if the patient were in intensive individual therapy. To accomplish that, the therapist has to devote much time outside the group to carefully rethinking what happened during the session. Also, new patients are asked to write down their dreams and fantasies so that the therapist can study them, even though they might not be reported during the session. Traditional psychodynamic techniques—analysis of transference and the laying bare and working through of the various defense mechanisms and patterns—are applied. The therapist formulates tentative hypotheses concerning the unconscious forces and patterns active in each group member. Those hypotheses are based entirely on the productions of each patient and not on any rigid, dogmatic position. As group work progresses, significant material that is detected in the patients’ defenses and transferences, expression of feelings, free associations, dreams, fantasies and behavior makes possible continuous revisions of those hypotheses. A major responsibility of the therapist is to focus on and clarify, at appropriate times, the direction of the efforts to be made by the patient. Thus the therapist channels group members toward meaningful exploration of the group interaction and understanding of underlying currents and mechanisms. He focuses the group’s attention on emotions and behavior as they arise, establishing their significance and function within the individual psyche by linking them with the near and distant past. The patient’s childhood gradually comes alive and therapy is made an understandable, vital experience to the patient. Such focusing diminishes the resistive digressions of the intellectual who tends to lose himself in theoretical speculations and of the patient who engages in long-drawn-out recitals of his life history or recent happenings. It also minimizes repetitive acting out of transferences and multiple transference reactions that do not result in any therapeutic exploration. Acting out can take on many forms, such as a group member’s constantly interrupting another member rather than expressing his hostility. Some group members may form seemingly warm, positive relationships that are, in effect, resistances to constructive therapy. Whenever the group fails to recognize such an impediment, the therapist needs to tactfully intervene—he is, after all, responsible for ensuring that precious group time is used appropriately. Members are encouraged to express their reactions to group situations. Their reactions, in turn, serve as stimuli to the other patients. Therefore, at any given time, therapeutic possibilities exist for everyone and the danger of merely having a series of individual sessions within the group setting is avoided. As in any form of therapy, patients may conceal or act out resistances and frustrate the therapist’s efforts to work through the problem. The difficulty is in direct proportion to the degree of hostility in the group. Even intense resistances can be worked through in the group, frequently with the help of other group members. The methods used often go beyond what is customary in individual and group therapy. 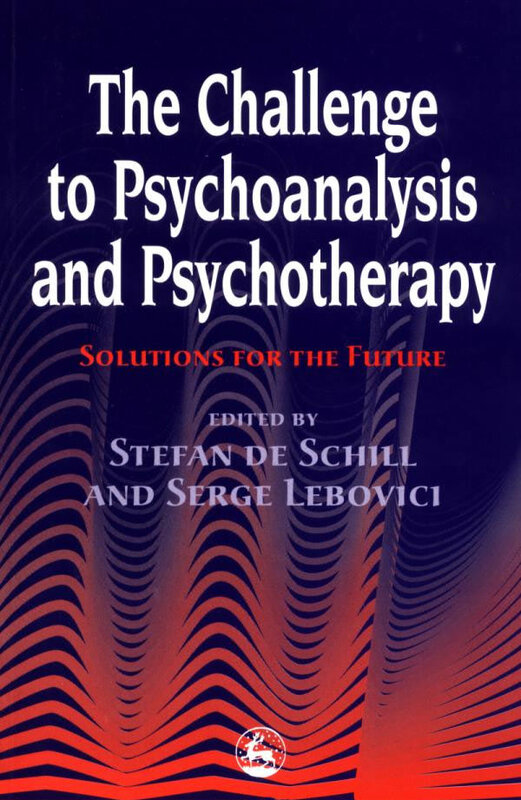 Experiences in individual analysis and, particularly, in group psychoanalysis are increasingly forcing the abandonment of the concept that the analyst must be an impersonal constant and that interpretation is his only valid tool. It is becoming evident that the therapist’s personality and experience are inevitably a factor of influence. Going a step further, we are convinced that the therapist, guided by his knowledge and understanding, must use all possible techniques to bring about therapeutic progress. Furthermore, the therapist should apply different procedures and rationales to the various group members. Patients come to therapy primarily for relief of pain and gratification of emotional needs, not for the kind of inner changes that the therapist knows are necessary to accomplish lasting results. Therefore, when the analytic work is not sufficiently effective in working through a patient’s resistance, the therapist may also have to use the patient’s own drives, neurotic motivations and secondary gains for that purpose. Such techniques include some strategic handling of the patient and the group, a principle that influences analytic work in any case—as, for instance, in the use of the so-called positive transference. For example, a patient was on the verge of terminating therapy because of strong resistances. She had often spoken about her absent mother, on whom she had been extremely dependent. There was another group at the time that included an older woman who manifested characteristics similar to those the patient attributed to her mother. The patient was placed in the group with the older woman and became sufficiently involved to remain in therapy until she had worked through the resistance. Another example: a patient who complained that his parents had been overprotective and doting was allowed as much freedom as possible by the therapist, who made only the most necessary comments in his direction. On the other hand, a patient who had experienced lack of paternal love in childhood was shown consideration and affection by the therapist. Any fears that such procedures interfere with the emergence of basic patterns are unfounded. The patient who was overprotected in childhood still complained that the therapist tried to control him, and the patient who was deprived of love accused the therapist of ignoring and neglecting him. Such distortions in the transference relationship are far more readily observed by the other group members than by the patient himself, and they are used to work through the problem. The analyst again and again applies pragmatic procedures in chess-like moves to subtly maneuver the group toward interaction that will produce the desired insights. He is almost a subliminal orchestrator, eliciting responses from one group member to stimulate insights in another. The therapeutic process in the extended groups requires a balance of gratifying and frustrating the patient. By fostering and reinforcing properly timed ego-strengthening experiences within the transference relationships, the therapist brings about positive emotional changes. In other situations it is useful and necessary for the therapist to frustrate a patient’s needs or desires. There are infinite applications of such techniques, and all of them require careful consideration by the therapist. At best, the patient can acquire only partial cognizance of the processes involved. Conscious insight by the patient, while certainly sought, is usually far from complete and is but one of the factors that can bring about personality change. Patients are continually urged to scrutinize their reactions to each situation in the group and report truthfully their feelings toward the situation and toward group members who stimulate feelings within them. They are prompted to describe accurately to the group significant behavior as well as their fantasies and dreams. The therapist stresses that after-reactions to each group session are important; members should carefully remember them and bring them up at the next meeting. The therapist asks the group members to seek out the reason for each feeling, behavior pattern, dream or fantasy by establishing the connection with similar feelings and memories from childhood. He makes them aware that childhood experiences are very important in analysis because they decisively influenced the development of deeply-ingrained emotional patterns. He encourages the patients to relate all memories and associations, particularly those that are embarrassing. They may involve thoughts and feelings relating to the bodies of their father, mother or siblings, or their own bodies and physical functions—such as bowel movements or early sexual behavior. Eventually, a comprehensive picture of the patient’s early childhood should emerge. As stated, the therapist also explains that a patient’s progress in treatment may be hampered, or even completely thwarted, by his becoming superficial in therapy through avoidance of the requested efforts, by ‘acting out’, by consciously presenting a false front to the group or by engaging in actions within the group that are attempts to gratify himself yet conceal his real feelings. For instance, a patient may try to discourage a new member from continuing in the group instead of expressing his hostility directly toward the therapist. The therapist encourages the patients to translate insights, gradually gained, into real-life experience by applying them constructively, first in the group and then in their daily battles against their old neurotic behavior patterns. For instance, patients who have unconsciously reacted to each interpersonal situation as fearful, helpless and guilty children might gradually assert themselves in a more appropriate manner. However, the therapist should not expect miracles; in most instances, it will take time to notice tangible results. No definite sequence of procedures or phases of progress are applicable to the group as a whole. Such techniques as ‘going around’, in which a patient expresses his feelings and fantasies toward each of the other group members, dream interpretation, directiveness or non-directiveness of the therapist, and others are used constantly in the group. Analytic as well as re-educative aspects of treatment are always present in group work. Furthermore, the group members are encouraged to attempt to understand the therapeutic procedure so that the time might be used advantageously. The emotional reactions of the therapist are utilized as a helpful instrument for detecting the patient’s unconscious and semi-conscious motivations—such as attempts to control or manipulate the therapist, make him angry or humor him. A reflection on the treatment of sociopaths is in order, particularly since it can be difficult to recognize them and they can cause much damage to group work and disaster to individual group members. One needs to remember, however, that the fact that a person has committed a crime does not mean that he is a sociopath. In fact, most sociopaths will never be caught and convicted. As is to be expected, work with such people is, while interesting, troublesome and unpleasant. Although those with the severest forms of sociopathy are not likely to come for treatment, there are many types of sociopathic personalities. We have had eleven such cases treated over a long period in these extended groups. Many more such patients dropped out after a short time in group therapy. Each of the long-term sociopathic patients made some progress in one or more areas, even though their aim in coming to therapy was to become more successful in their sociopathy rather than move toward a truly desirable goal. Since sociopaths have not sufficiently developed a healthy, mature conscience (as contrasted with the superego of the neurotic), they often may appear admirably fearless, free and authoritative to the neurotic group members who are guilt-ridden, inhibited and anxious. People who are not sociopaths themselves do not recognize that most sociopaths derive great pleasure from their asocial, destructive and sadistic actions. Since it is the therapist’s job to gradually elucidate the sociopathic, exploitative, destructive and, in some cases, self-destructive patterns, sooner or later a sociopath in the group almost invariably attempts to undermine the therapeutic group work and, in direct or devious ways, destroy the position of the therapist and discredit him. That becomes particularly evident when their attempts to exploit the therapist are thwarted by him.